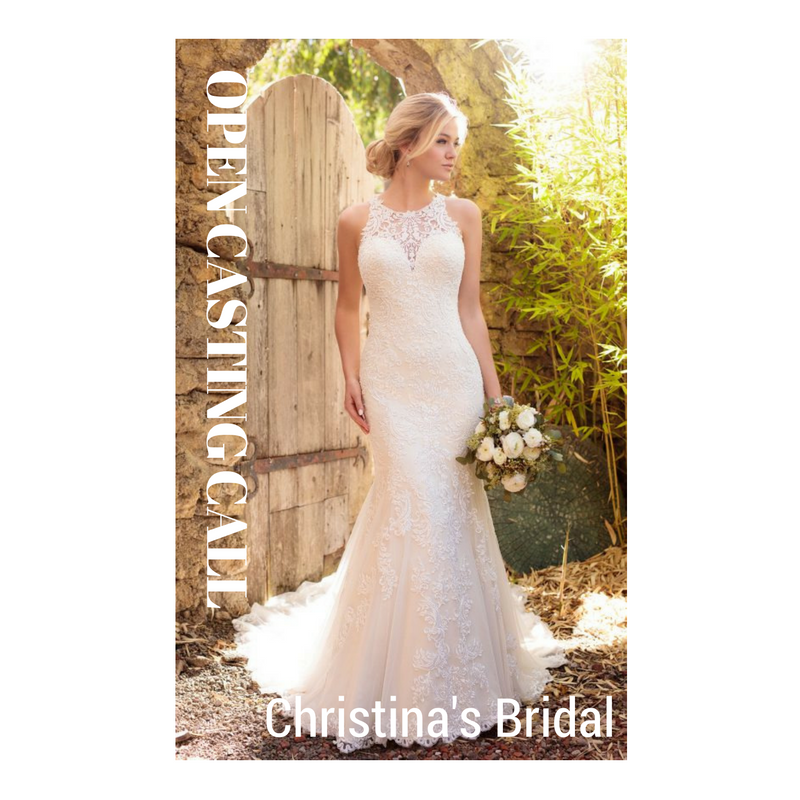 We need local models to help showcase our wedding gowns. Hourly rate. Please ensure that your measurements have been taken by a professional in order to have the best fit. Models need to be 5’8 or taller. Please wear hair up, minimal makeup, and bring heels. Email Christina@christinasbridals.com for an appointment. Appointments will be ~ 20 minutes long.